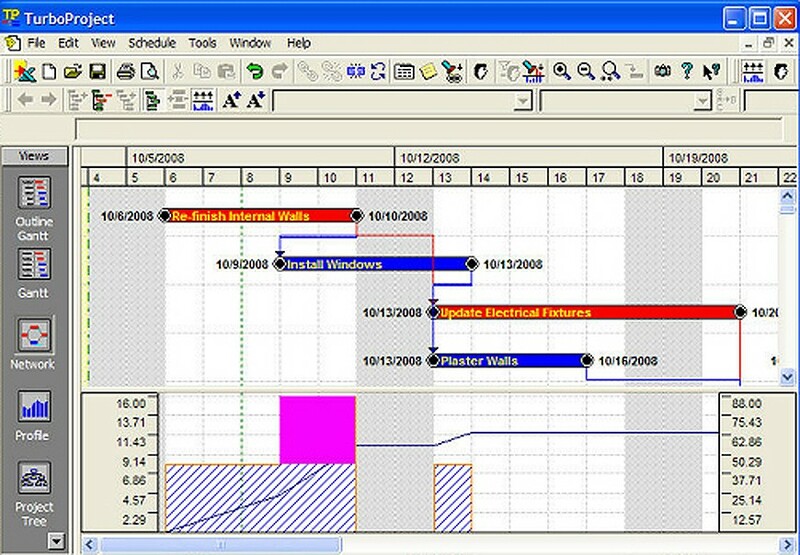 TurboProject is for anyone who spends time scheduling work, cutting scheduling time in half! 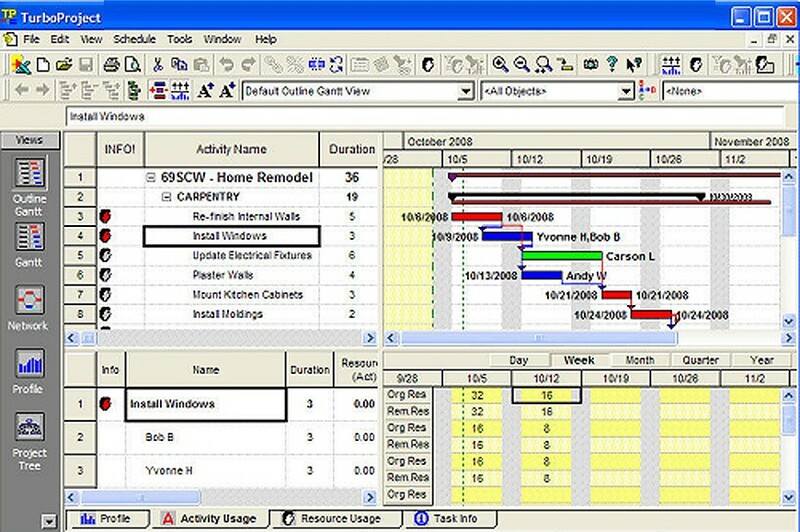 Create project calendars in minutes with this top project management software solution, then assign resources and tasks, and check them off as they get completed. 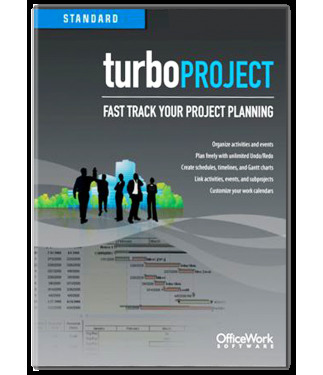 TurboProject is for anyone who spends time scheduling work, cutting scheduling time in half! Create project calendars in minutes with this top project management software solution, then assign resources and tasks, and check them off as they get completed. Import from Microsoft Project®, Word, Excel and more. Tutorials and templates get you up and running in minutes. A unique combination of top-down and loose layout planning lets you lay out your project even if you don’t have all the information you need up front. Now that’s real power! 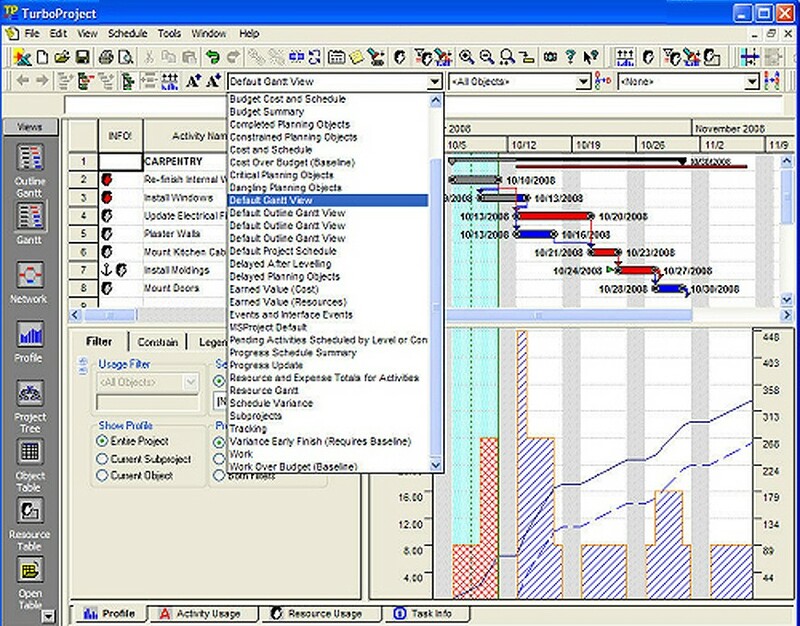 Plus, unlimited undo and redo capabilities provide project managers incredible flexibility in planning and tracking. 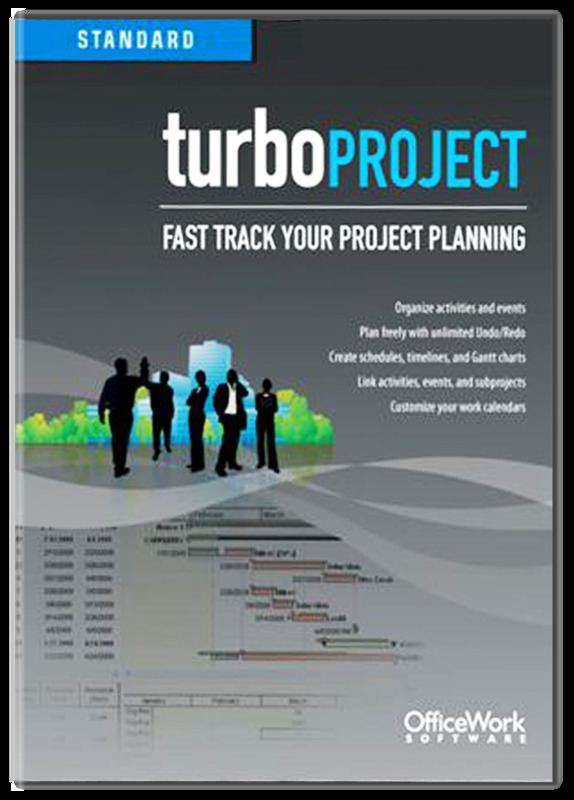 TurboProject combines power and versatility with a truly comprehensive set of scheduling, activities, and resource management features for both single and multiple projects. Sharing information is made simple with TurboProject's ability to work with MPD files and publish to the Web feature, while presentation-quality output features allow you to present your project with flair. Whether you're managing your own day to day activities, or an entire project team, you get flexibility in planning a project and the power to bring it to completion—ahead of budget, ahead of schedule.